My depression is causing me issues. I am not happy. 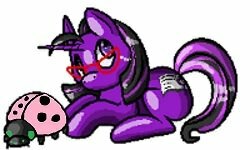 I am having personal issues as well I sold off a porson of my MLp collection to cover some bills and that did not help. I have a app with my doc in a few weeks and my family is working with me. But that why I am not quite as active on here. I may not be on here for awhile I just wanted to give a heads up and not worry anyone. I'll still pop up but I don't know how often till my heads on better. Love you guys have a good thanks giving and just in cause a merry Christmas. Yes. I am here to chat as well. We care about you friend!! Oh dear. I'm sorry depression is giving you trouble. I completely understand. There's a good bunch on here if you want to talk about it. I'm kinda in a similar place and it really helps me to listen to other people. It puts things in perspective for me and I'm able to remember that I'm not alone. Many people go through stuff. Take care and do what you need to feel better. We'll be around. Sending you love and best wishes for a happy and healthy head. I'm so sorry Ology. I'm going through the same thing. A lot of it is the weather, it does affect depressives. Hopefully you can struggle through this without too much sorrow. Just remember we love you and you can get help here. There's almost always one of us online, and we'll be here for you. You are not alone. I'm so sorry you’re not in a good place right now. I hope you find the help you need, and know that we all care about you and we’re always here, should you need us! As Sara said to Hoggle in Labyrinth I'll call. I was thinking, we should start an Eeyore pony club. 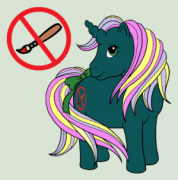 All the sad, little ponies could be in the club. We could play pin the tail on Eeyore to cheer him and ourselves into a better state. I mean, if I was Eeyore and someone pinned my tail on for me, I'd feel better. I know I would. ((((HUGZ)))) And everything what already is said!!! I realy can relate to depression due to having Persistent Depressive Disorder (PDD formerly known as Dysthymia) whereby you have *milder* episodes but they come and go just like tidalwaves.....sometimes I get 2 or 3 episodes per year.....but after losing my Mother dus Cancer last year Februari and me being in the hospital with kidneystonessince I moved in 2015 to where I live now...and to top it of the dead of my Dad (hmm...this sounds so strange for me...) i'm not in a real *Happy Mood* for a longer time....But I know that when everything calms down with time...my mood WILL pick up!!! P.s. You can always send me a PM!! !